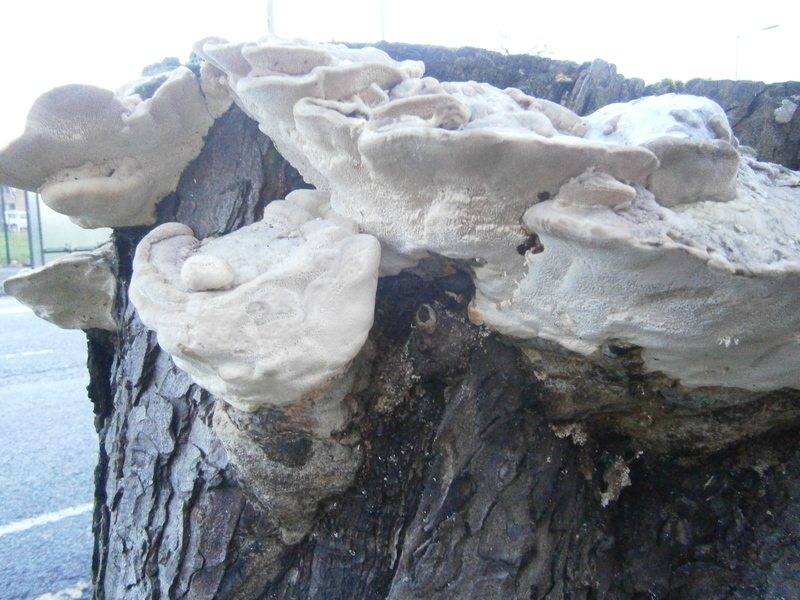 I saw some interesting fungi on the stump of a dead street tree in Carrington the other day….. 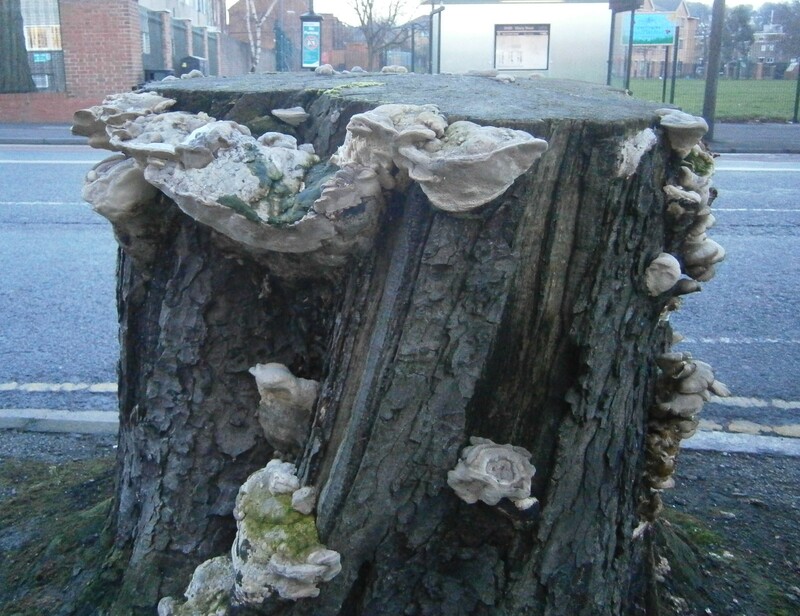 The stump – my guess is it was a Plane or Maple – is now an impressive fungal habitat, not so often seen by a main road. 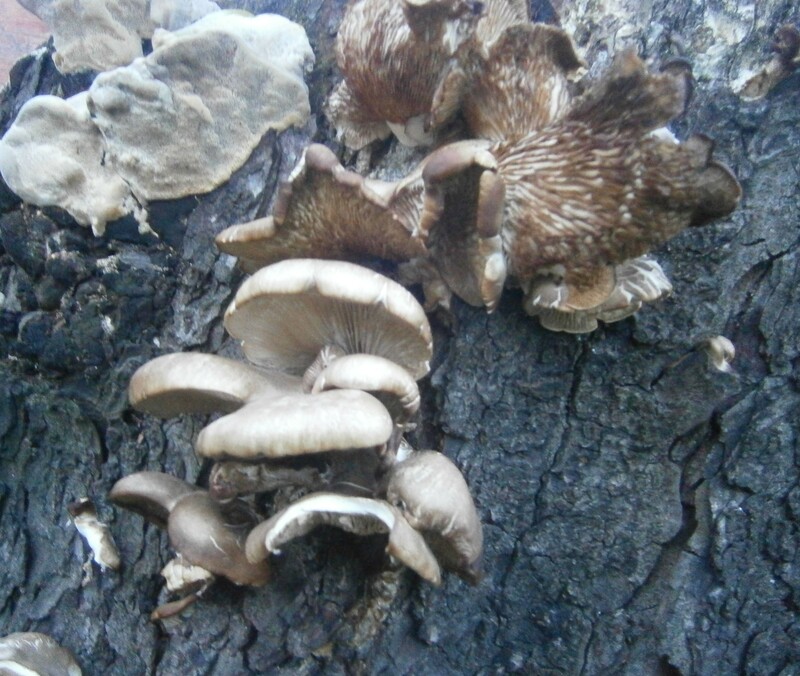 Fruiting bodies of two different species of fungus were evident…..
My best guess for this one is the Blueing Bracket, Postia subcaesia. As to the other, less-abundant fruiting bodies….they look to me like Oyster Mushroom (Pleurotus ostreatus), which are excellent eating. Unfortunately I wasn’t sure enough to try them. It’s unusual to see such fungal abundance in such a setting. 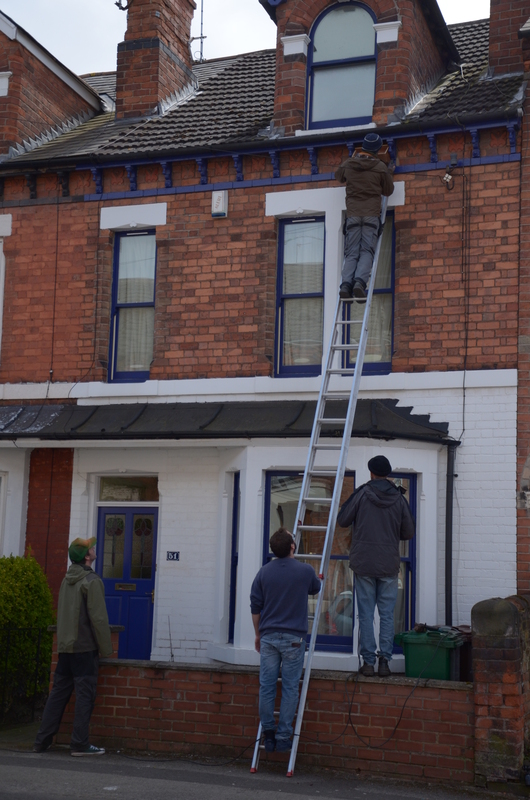 Is anyone able to offer an opinion on the identity of these species?